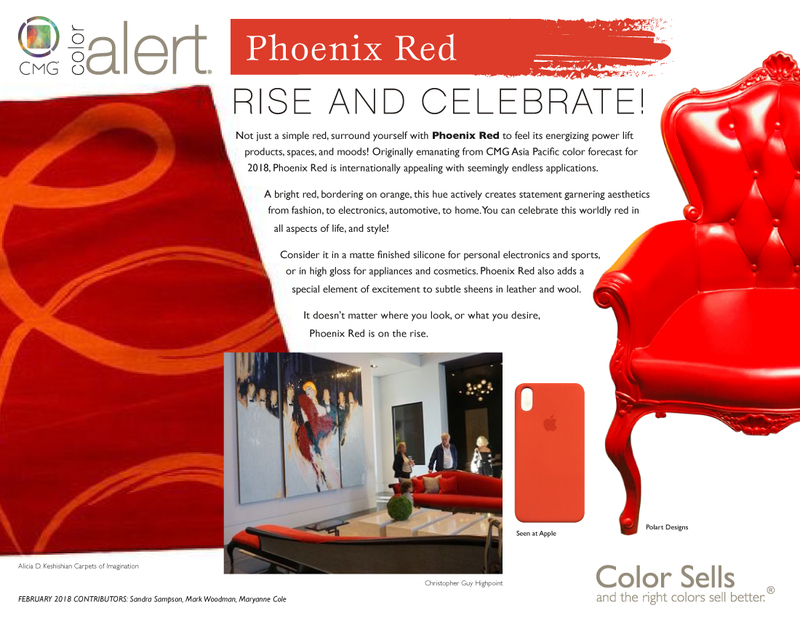 Not just a simple red, surround yourself with Phoenix Red to feel its energizing power lift products, spaces, and moods! Originally emanating from CMG Asia Pacific color forecasts for 2018, Phoenix Red is internationally appealing with seemingly endless applications. A bright red, bordering on orange, this hue actively creates statement garnering aesthetics from fashion to electronics, automotive to home. You can celebrate this worldly red in all aspects of life and style! Consider it in a matte finished silicone for personal electronics and sports, or in high-gloss for appliances and cosmetics. Phoenix Red also adds a special element of excitement to subtle sheens in leather and wool. It doesn’t matter where you look, or what you desire, Phoenix Red is on the rise. See this color in action and be sure to sign up to receive your free monthly Color Alert® and event information.